The industry cried wolf for years. So when fashion system finally broke on February 10, it still took everyone by surprise. "Things fall apart. The center cannot hold. Mere anarchy is loosened upon the world." You'd think William Butler Yeats wrote his classic Second Coming as a fashion review on Twitter. Kanye West showed the third Yeezy collection for Adidas and launched a new album in front of a sold-out crowd at New York's massive Madison Square Garden. 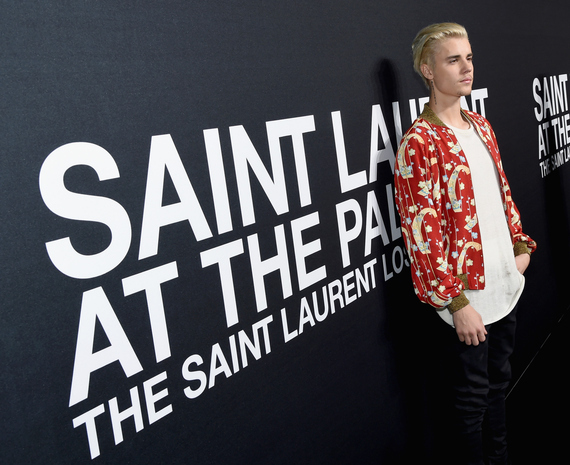 Hedi Slimane presented the latest, and rumored to be his last, collection for Saint Laurent at the iconic Hollywood Palladium in Los Angeles. Both events came before the official start of New York Fashion Week! Cue hysteria. However, we are witness not to an apocalypse, but an evolutionary leap long in the making. There were already drones at Fendi and J.W. Anderson livestreamed on gay dating app Grindr. The GoPro cameras on runway models appear practically uniform. Burberry announced plans to drop both gender and season from its retailing concept. Tom Ford was skipping a season to get in-step with the market that increasingly feels like Russian Roulette. West and Slimane marked a point of departure from the status quo than no longer served anyone. The current fashion calendar emerged in the 1970s to consolidate media coverage and accommodate buyers at the dawn of globalized communications. The circuit included Paris, Milan, London and New York with an occasional Florence or Tokyo thrown in for good measure. Internet and mobile technologies changed accessibility of fashion dramatically. The typically months-long editorial and advertising processes boiled down to one click shopping. I like therefore I buy. What's the use of mounting a show in Manhattan when Slimane can secure a Hall of Fame guest list at his home base in LA? Courtney Love and Ellen DeGeneres, Bieber and Stallone, Gaga and Kravitz... This is rare celebrity wattage. In calling the presentation "volume 1" (with second half of the collection headed for Paris in March), the designer exposes pop culture double standards obsessed with sequels and franchise reboots on one hand, and expecting ever-fresh creativity from fashion brands on the other. Slimane chose to play greatest hits and who can blame him? The fashion world was fast approaching another tipping point. Young designers versus established fashion houses. Many have questioned the endless shuffling of new talent at the helm of heritage brands as an unsustainable practice. In case of Yeezy, sure, it's technically an Adidas product. It's also 100% Kanye show. He blew not just fashion but the entire entertainment system out of the water. Why bother with anybody else's schedules when you got the entire Kardashian clan in your corner? Every conceivable media will report on them taking their seats on jumbotrons like some Politburo apparatchiks at a communist rally. Here is how far from fashion cannon was the MSG event: Naomi Campbell appeared as an afterthought. 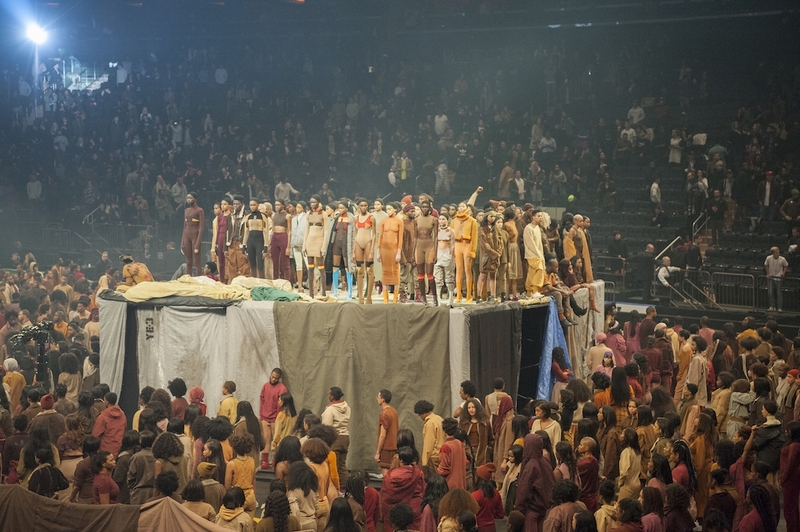 In his self-anointed savior fashion, Kanye took the expectations of immediacy and grandstanding to an extreme. Where do we go from here? History offers us a bold precedent in Salon des Refusés of 1863. Feeling trapped and exploited by the Parisian art establishment at the time, the French painters took matters into their own hands. As it turned out, Courbet, Manet and Pissaro had fresher ideas than whomever got the juried nod of approval that season. Sometimes to break the mold and open new horizons you have to sidestep the guidelines. Émile Zola famously reported on the event: "No one goes to the Louvre to be scandalized." Mind you, neither Kanye West nor Hedi Slimane are outsides, per se. However, both operate under extreme pressure. It is hard to be a lightning rod for criticism within the industry frantically soul-searching for ways to reinvent itself, but progress favors the brave. Meanwhile, also this week, Derek Zoolander, a fictional supermodel character created by Ben Stiller, celebrated "one billion followers" on Instagram by thanking everyone who ever took a selfie with him, even not so good-looking people. This fun milestone reminds us to proceed forward with a sense of humor and curiosity. After all, an industry built on epic style shakeups and comebacks should embrace the uncertainty of possibilities. The center cannot hold. Spread the good news!